After moving into her apartment eight months ago, Alison Cameron started the process of renovating. Alison sold some older furniture before looking for a shelving unit to fit into the corner of her living area. She found the perfect unit at a retail store, but the dimensions just didn’t work for her space. “My daughter suggested that I get in touch with Cutshop,” said Alison. “I wanted exactly the same design, just narrower dimensions. The staff at Cutshop Mt Wellington were amazing! They made me feel really welcome – like their first customer of the day. Nothing was too much trouble. 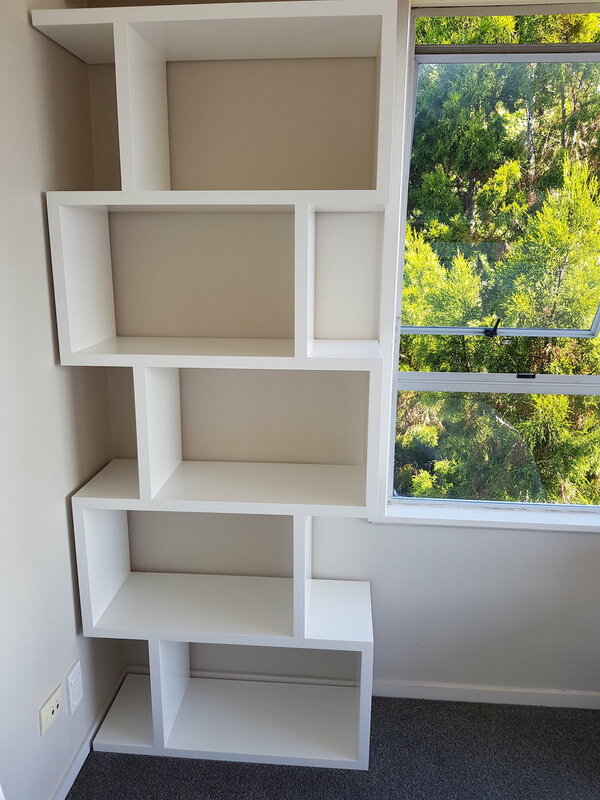 Cutshop programmed the dimensions into their CNC software and cut the shelving unit to fit. Then they assembled and organised painting, before delivering the unit straight to Alison’s door.